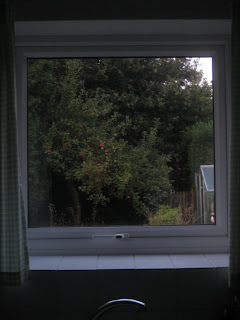 Here's the view from our kitchen window. 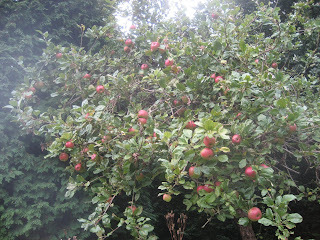 We found out too late after the fruit was too ripe that the tree in the backyard produced edible apples. I thought for sure it was crab apples and just ignored it.